Stanley Livingston was Professor of Physics at Massachusetts Institute of Technology (MIT) (1938-1970). Other institutional affiliations include Brrokhaven National Laboratory, Cornell University, and University of California, Berkeley. His major contributions to physics include the cyclotron and the alternating-gradient synchrotron, which have led to the abilty to probe both nuclei and many esoteric particles. May 25, 1905Birth, Brodhead (Wis.). 1926Obtained AB, Pomona College, Claremont (Calif.). 1928Obtained MA, Dartmouth College, Hanover (N.H.). 1931Obtained PhD, University of California, Berkeley, Berkeley (Calif.). 1931 – 1934Research Associate, University of California, Berkeley, Berkeley (Calif.). 1934 – 1938Assistant Professor of Physics, Cornell University. 1938 – 1986Professor of Physics (1938-1970) and Emeritus Professor of Physics (1970-1986), Massachusetts Institute of Technology (MIT), Cambridge (Mass.). 1944 – 1946Member, Operations Research Group, United States Navy. 1946 – 1948Chair, Accelerator Project, Brookhaven National Laboratory. 1956 – 1967Director, Harvard-Massachusetts Institute of Technology (MIT) Cambridge Electron Accelerator. 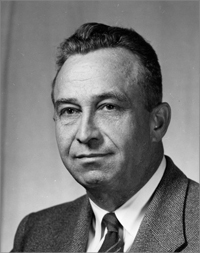 1967 – 1970Associate Director, Fermi National Accelerator Laboratory. 1970Member, National Academy of Sciences. 1986Awarded Enrico Fermi Award, United States Department of Energy. First and third wife. Married 1930-1949; remarried in 1959. Both employed at Cornell University and co-wrote "Nuclear physics" and "Seminal articles on nuclear physics." Both employed at Cornell University and co-wrote "Nuclear Physics". Collaborated in discovery of oxygen 15. Both employed at University of California, Berkeley. Both employed at Brookhaven National Laboratory. Both employed at Brookhaven National Laboratory, and Massachusetts Institute of Technology (MIT). Obtained PhD (1931). Research Associate. Received 1986 Enrico Fermi Award. Design features of the 200-GeV Accelerator, 1968. M. Stanley Livingston papers, 1928-1986. Oral history interview with Milton Stanley Livingston, 1967 August 21. Brookhaven National Laboratory interview transcripts, 1966-1986. Cambridge Electron Accelerator motion picture films, circa 1962-1967. Cambridge Electron Accelerator records, 1952-1974. James Joseph Brady response to early 1930s Ph.D.s Survey, 1980. Oral history interview with John P. Blewett, 1979 March 22 and May 11. Robert F. Bacher papers, 1924-1994. Basic Bethe : seminal articles on nuclear physics, 1936-1937 / by Hans A. Bethe, Robert F. Bacher, M. Stanley Livingston ; preface by Hans A. Bethe ; introduction by Roger H. Stuewer. High-energy accelerators / M. Stanley Livingston. Nuclear physics / by H. A. Bethe, R. F. Bacher [and] M. Stanley Livingston. Excerpts from Reviews of modern physics: v.8,no.2, April 1936; v.9,no.2, April 1937; v.9,no.3, July 1937. Particle accelerators [by] M. Stanley Livingston [and] John P. Blewett. Particle accelerators; a brief history [by] M. Stanley Livingston. Particle physics; the high-energy frontier [by] M. Stanley Livingston. The development of high-energy accelerators, edited and with commentary by M. Stanley Livingston. M. Stanley Livingston Physics Today obituary.